Christine Lagarde attacks US president Donald Trump's trade policies, warns that escalating trade war could lead to the global economy getting darker. The biggest and darkest cloud that we see is the deterioration in confidence that is prompted by (an) attempt to challenge the way in which trade has been conducted, in which relationships have been handled and in which multilateral organizations have been operating. Lagarde's remark comes after an annual meeting in the German capital Berlin, where she met with German Chancellor Angela Merkel and leaders of economic organisations such as the World Bank, World Trade Organisation, the Organization for Economic Cooperation and Development, the International Labour Organization and the African Development Bank, Xinhua reported. The clouds on the horizon that we have signalled about six months ago are getting darker by the day, and I was going to say, by the weekend. The IMF chief said that challenges to world trade were damaging business confidence and putting the global economy at risk. 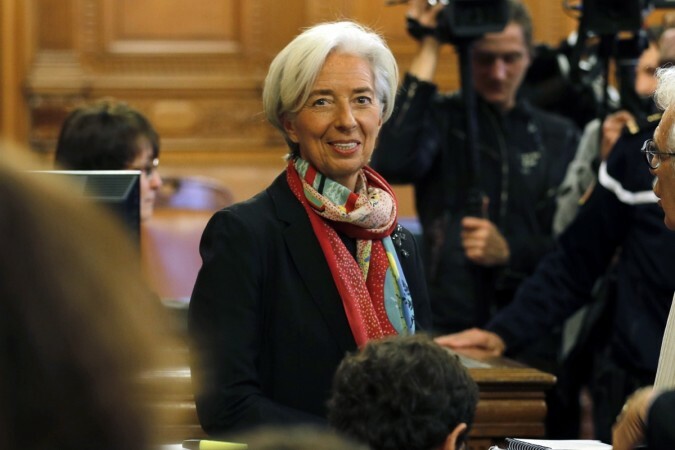 To ensure effective multilateralism, Lagarde along with other economic leaders, called for global attention, global responsibility, and global solutions. "Effective multilateralism is more important than ever," they said in a joint statement. US President Donal Trump shockingly withdrew from the G7 declaration on free trade this weekend at the G7 summit in Canda. Merkel responded by saying the last-minute decision was both "sobering" and "disheartening" and threatening with European Union's countermeasures in an escalating trade war between the two transatlantic powers. There were speculations of a tense atmosphere at the G7 summit, especially surrounding Donald Trump. This was further bolstered by the Instagram post of Angela Merkel which showed the German Chancellor, surrounded by world leaders, 'staring down' at the US president. 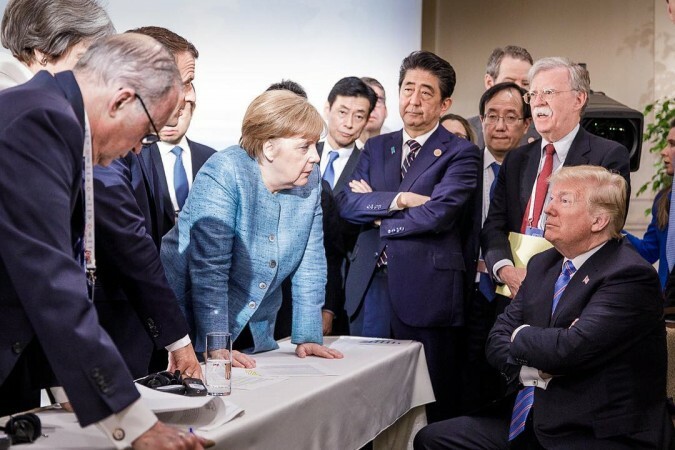 The image went viral on numerous social media platforms, with many speculating Trump's apparent unlikable position among the world leaders, and wondering if this was the German Chancellor way of sending a message. Between that and the US president withdrawing from the G7 declaration on free trade, will the US president react to IMF's warning of a 'darker economy' looming?